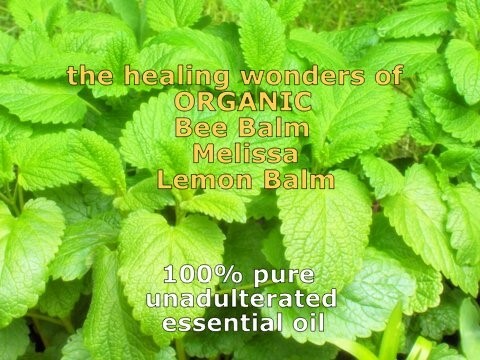 Organic Melissa, which is also known by the name of Lemon Balm and Bee Balm. True or genuine Melissa essential oil is rare and hard to find. I have been able to source a European certified Organic Melissa from South Of France and it is divine! It is a rare and also expensive essential oil because 7 tonnes of plant matter only produces a yield of 1 kg (21/4 lb) of oil. Therefore, it is often diluted with Lemongrass or Citrus oils to reduce its cost. To find a genuine organic source, of superior quality, is like hitting the jack pot. Due to its potency one only needs a drop or two to bring about amazing healing results, so you will get a long life out of a small precious bottle. I recommend that every essential oil lover have 1 treasured bottle of Melissa in their collection – it is a worthwhile investment, here’s why. This herb has an ancient healing reputation. It’s name comes from the Greek nymph Melissa, protectress of the bees, because they find its scent irresistible. It has been used for centuries throughout Europe and the Middle East. The great herbalist Aviccena recommended it for its cheering effect, for melancholy and heart complaints. Melissa was called the ‘elixir of life’ or ‘the nectar of life’ by the great alchemist physician Paracelsus. Traditionally it has been used for all nervous disorders, anxiety and stress, and for heart issues of melancholy and depression. an early type of eau de cologne distilled by monks in Paris since 1611. PTSD – it helps with anxiety, stress, depression, trauma and shock. HEART – it reduces high blood pressure and calms rapid heart beat. CANCER – Lemon Balm tea which has minute amounts of essential oil has been shown to inhibit the division of tumor cells. PMS – it reduces pain, cramps, tension and fatigue, improves mood. HERPES and COLD SORES – most effective treatment for fungal and viral infections. You only need 1 drop. SHINGLES – Anti – viral. Add to a Lavender and Peppermint compress. DEMENTIA – Boosts memory and soothes nervous tension, fits, and agitation. See reference below. THYROID – inhibits the thyroid-stimulating hormone when thyroid is over active – HYPERthyroidism. DIABETES – Helps regulate blood sugar for those with type 2 Diabetes. HYPOGLYCEMIA – Helps to regulate blood sugar. ADHD– Calms and helps sleep, it’s a mild tranquilizer. See reference below. LIVER & GALL BLADDER – Regulates and aids functionality. HEADACHE – Rub a a trace of the oil on the temples. IMMUNITY – builds and strengthens the immune system overall as it is anti viral, anti bacterial and anti fungal. ECZEMA, ACNE & SKIN WOUNDS – can be applied directly to the skin. GRIEF, DEATH & TRANSITION – is considered to be THE essential oil to help with the transition of death and for grief. Here is a quote form Patricia Davis/Subtle Aromatherapy – ” The one oil above all others which seems to be of supreme help to both the dying and those around them is Melissa… It seems to dispel fear and bring about acceptance at the approach of death. It eases shock, particularly if someone has died suddenly. It helps us align with the Divine Will and this can make the approaching death easier to accept both for the dying person and for those who will soon know that they will be left behind”. Isn’t this Amazing? What a wonderful and life giving oil! Enjoy an extra bonus of free shipping of the organic Melissa within Australia. 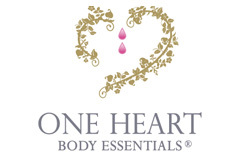 You can add other One Heart products for free shipping up to 500gr. You can dilute the essential oil in jojoba or almond oil as a 3% blend. This means 3 drops of essential oil to every 97 drops of carrier oil. Which is approximately 3 drops to every 5ml of carrier oil. This way your precious bottle of Melissa will last you a long time. Can be diffused, or rubbed on body with a little lotion or oil. * you can add a drop of Cacao Absolute which also helps alleviate stress. This is a gorgeous blend that can be used as an anti anxiety perfume. These are just some suggestions. You can also simply add 1 drop of Melissa to your own tried and tested blends, as every drop carries these healing powers. Naturally, as with all aromatherapy support for chronic conditions, one needs repeated applications to bring about the desired results. I do hope that you try this amazing essential oil. If you have any questions please contact me.